When you first think about redoing your bedroom – or your child’s – the idea might be a little daunting. Thinking about new furniture, fresh paint, and new everything else can be a bit much. Also, there is no way that you can accomplish all of that quickly, with a limited budget. But you’re also really tired of stepping into an outdated room that you don’t like any more. So, what can you do? One overlooked way to change the look of a bedroom in no time is to switch out the bed frames for a different style. If your existing frame is ornate and elaborate, go instead with a lower metal frame that is partially obscured by the mattress. This type of frame lets the bed linens become the star of the show so that you can buy everything from Disney Princesses for the kids to larger floral patterns or luxurious fabrics. If the frame hasn’t been a focal point, find one that adds some character to change up the room such as a large wooden frame with slats or a sleigh bed. Sometimes you get so used to your bed linens that they fade into the background. For a really quick way to change up the look of the entire room, get a new set of bedding. Go with a completely different bold color family, or choose a pattern rather than a solid block of color. Don’t forget that your window treatments may need a little updating as well – some bedding kits come with curtains or blinds plus pillow shams and bed skirts that match the new set. Regardless, the vibrancy of the new bed linens makes the entire room feel rejuvenated with hardly any changes made at all. Paint is one of the first things people tend to think of when they start planning a bedroom overhaul, but it’s often an overwhelming idea. To bring the workload down a few notches, consider just painting one accent wall or adding a painted feature in one part of the room. Murals often make a nice touch in children’s bedrooms whether they like football, superheroes or wildlife. If the entire room could use a good paint job, however, bite the bullet and get the job done. Once you’re finished, the bedroom will feel fresh and new, even if you don’t change another thing. Consider color palettes you wouldn’t normally put together, or try stripes or even spots. Buying new paintings or adding photographs to the walls can additionally make a massive difference – there are plenty of multi-photo frames on the market allowing you to show off your family snaps. Take the pressure off and switch just one element of your bedroom to make a big difference to your space. Larger changes can always happen later if you still feel that they’re still necessary. As with cooking, keep in mind that simple ingredients can easily create a different flavor. Squirt from boon is more than just a silly little spoon. It’s the most amazing, super duper spoon you’ll ever have the pleasure of owning. All in a colourful, easy to clean, squeezy bulb you add a 3 ounce jar of baby food. This allows you to literally feed your baby single handedly, taking away a lot of the mess! You can even take food with you wherever you go by simply popping on the cap. Babies can sometimes find it hard to sleep on their own, especially in total darkness. Soothe them with an LED night light, so you know that they fall asleep feeling happy and comforted. You can turn the night light off once your baby has fallen asleep. A camcorder is a great bit of kit, but it’s essential for capturing all of your baby’s special moments. Their first steps, words, laugh, a tantrum – you can capture it all on film, ready to embarrass them with on their 18th birthday. A video monitor helps mums who are anxious about their baby going in their own room for the first time. You can see them on your smartphone without leaving your own bedroom, so you know exactly what they are doing. This way, you won’t feel the need to check on them every 5 minutes! The travel warmer allows you to warm your baby’s milk without the help of a plug or a kettle. Simply heat up the travel cell before you leave the house, and when it’s time for your baby to have their bottle all you need to do is crack it and insert the bottle. It’ll stay warm for ages! A good baby bath thermometer will read the temperature of your baby’s bath water every few seconds, so you know whether it’s too hot or too cold for them at all times. Do you worry about your baby coming into contact with germs? With this germ-free humidifier, you can chill out about your baby becoming poorly. The ultraviolet light will kill mould, bacteria, and fungus before it has a chance to reach your baby. Do you have a gadget that you and your baby just couldn’t live without? Let us know in the comments. The above 7 gadgets will definitely enrich your life and make being a mum easier and more enjoyable. Thanks for reading! Bathrooms must be functional and attractive spaces. That is sometimes difficult to achieve in modern homes when the rooms are so small. It is also a room that can add value and saleability to your home if you fit it to a high standard. It is in demand in the mornings when the children are getting ready for school and the adults for work, and it is the cause of many arguments at that time. If you are about to refit your bathroom, there are some great ideas here that will make the most of it for the whole family. I hope there is something here that you can use. A family home can suffer much damage from water if you don’t decorate the bathroom in the correct way. Tiles are the order of the day in this space. Use them from the floor to ceiling on every room and on the floor. The current trend is to use large tiles with a stone effect. The choice of colour is a personal one, but marble is as popular today as it was back in the days of the Roman empire. If you are going to install a bidet, do you think people will use it much? Young boys would benefit more from a small urinal mounted at the best height for them. Think about it; no more splashes on the toilet seat. Boys are always in a rush because it interrupts they play. Urinals are perfect for the job. It has become common practice to install twin vanity units in modern rooms. If you have space, why not for three? It might solve the problem of overcrowding in the mornings, particularly if the toilet is in a separate room. Don’t forget to place a cabinet above each unit with suitable LED task lighting from http://wattlite.co.uk or any other trusted seller. The bath must be big enough to wash two or more little children at a time. They prefer to bathe and have fun together, and it makes your life easy too. Keep all of the little blighters where you can see them! You have a wide choice of baths, as you will find out when you go online, or visit the showroom. Will you choose a model that goes against the wall, or would you prefer a freestanding roll top unit. Maybe a corner bath will be your ideal. Fit a double shower cubicle if you have room. There might come a time where you need to get into the shower to help one of the kids to wash, but it is nice to have some elbow room when you shower, regardless of that. Be sure to fit an extractor fan in the bathroom. If the atmosphere is constantly moist, it will provide excellent conditions for the growth of mildew and other bacteria. Before you know it, there will be black spots on the seals around your bath and vanities, and the grout between the tiles will become dirty. Is there something here that you would like to include in your room? It is a hive of activity, so make it into an efficient space with some of the ideas above and you can’t go wrong. 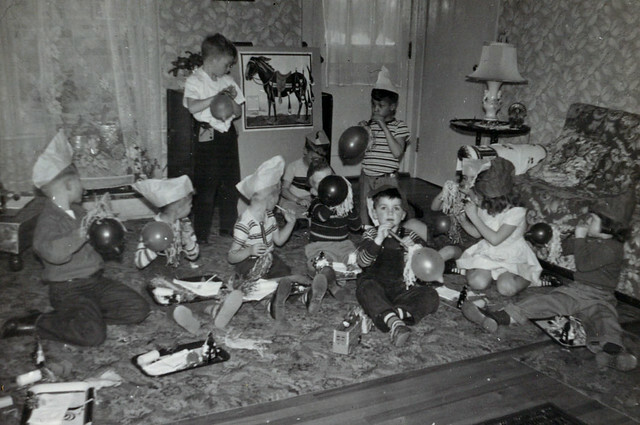 Can you remember the birthday parties you had when you were young? I can. Of course, that’s because my mother has pictures of them plastered all over the walls. Still, those memories are as clear as day. For some reason, the thing I remember most is smashing my fist into the birthday cake. It seems I did that every year, right up until my eighteenth. My parents used to love throwing those birthday parties. They can be a stressful time for some, regardless of the fun you’ll have. Birthday parties for the young don’t have to be difficult. They also don’t have to be mega expensive. 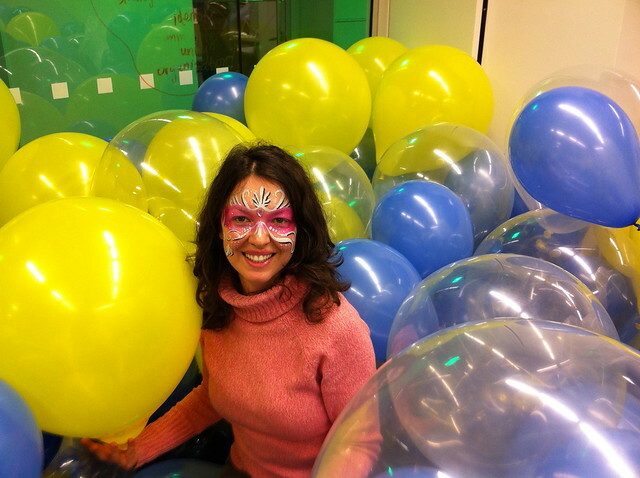 Around 9% of parents spend at least £800 on their children’s parties! We guess you’re not operating to that kind of budget. (You’d have to be insane, right?) 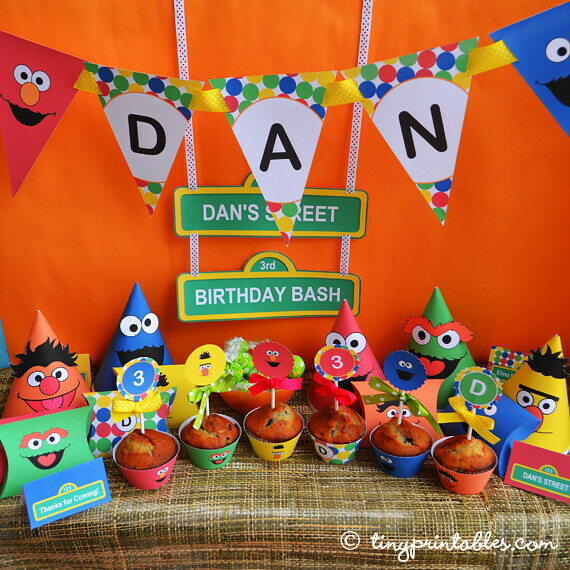 Getting the basics right for your children’s party is the best way to guarantee success. With that in mind, here’s our list of the little things to remember for your next bash. Getting the right invitations is easy as pie. Today, most supermarkets stock a wide range of party invites. They’re often gender specific, which can be a problem, but they also come in themes. They can tie into your party’s whole atmosphere if you like. Our advice isn’t on what kind of invites to buy, but on the importance of remembering them. You need to double and triple-check your guest list. Nobody wants to miss someone off. It’s easy to overlook children that your kids may have forgotten. Ensure everyone who should be there gets an invitation. We can’t all take our kids to a theme park or a fancy restaurant for their birthdays. In fact, most kids would relish a party at home. It’s a chance for them to relax in their environment. You can make your home into a fantastic party centre with little fuss. Great party games can have everyone involved in the silly fun. Just make sure the adults don’t get too competitive! If you’re having a party at home, you’ll need to decorate. We don’t mean anything fancy. Just put up some streamers and banners. That will show your birthday boy or girl that it’s their special day. Balloons are another great way to add a party atmosphere. Themed balloons are available at http://www.balloonsgalore.co.uk, so look out for those. Another great tip would be to buy some party poppers – they’re fantastic if you’re having a surprise party! We do warn you – they can be messy to clean up and a little loud for younger children. Ah, the piece de resistance! Unveiling the cake is the high point of any party. Make sure your cake suits your child down to the ground. Today, you can get birthday cakes in almost any style imaginable. You can even try baking a cake yourself. That’d be perfect for that little special sparkle. These simple tips will help you to make your child’s day extra special. Just remember to relax and enjoy the day when it arrives. No party is any fun with a stressed-out parent half asleep in the corner! Everybody fantasises about emigrating at some point, or another during their lifetime. When you come home to rainy old Britain after a dream holiday in the sun, it can be difficult to re-adjust. So, it’s of no surprise that so many of us think about quitting our jobs, packing everything up and starting again, somewhere new. However, as with so many things, quite often the fantasy is much better than the actual reality. Land development is heating up in the Baldivis at the moment, and this location is proving to be an increasingly popular choice among British expats. So, if you’re also considering packing everything up ‘in search of pastures new’, be sure to follow our advice. It’s the only way to ensure that your dream of a life in the sun doesn’t turn into a nightmare. When viewing potential land and property purchases, it can be all too easy to get a little carried away. Remember, us Brits aren’t accustomed to long periods of blazing sunshine. 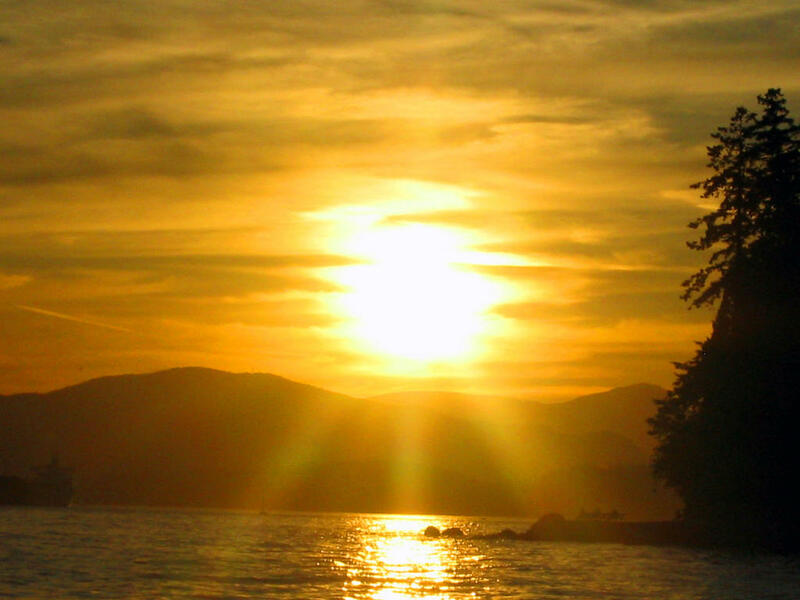 We have to be careful to not let the sunshine go to our heads. The decision to spend such a large amount of money shouldn’t be taken lightly. So, if you know you’re prone to making rash decisions, wait until you’re back home before committing to anything. You don’t want to end up with an empty bank account and a serious case of buyer’s remorse, just because you were stuck in ‘holiday mode’. Make a list and start to weigh up the pros and cons of pushing ahead with your decision to emigrate. How much financial risk is involved? Can you bear to leave behind family and friends? Do you speak the native language? Will you be able to find employment? Only when you’ve considered everything will you be in a position to make an informed decision. Remember, the grass isn’t always greener on the other side. If you’re emigrating in the hope that you can run away from your problems, we’re here to tell you that sadly, it doesn’t work that way. Emigrating can be a very stressful experience in itself. Holidaying in a place for a period of two weeks doesn’t equate to living there. Getting used to a new climate and trying to ingratiate yourself into a foreign culture isn’t always easy. So, whilst moving to a different country might offer a more relaxed lifestyle, there are still practicalities to consider. It’s essential that you understand exactly what you’re buying into before you proceed. A survey will inform you of your rights and obligations if you were to go through with the purchase. A survey will tell you if there are any planning permissions in place and equally if there are any restrictions. It will also inform you of any risks posed by the local environment, such as flooding or pollution. So, just follow our advice, and you could find yourself living your dream life in the sun, in less time than it takes to get a suntan! It’s never easy to consider leaving your home country. Some people can’t even consider leaving their local area. Here’s an incredible stat – 40% of Americans don’t ever leave their hometowns. It seems we are home birds, attached to the places where we started our lives. We should all be more adventurous. Leaving home is a great experience. We all enjoy discovering new cultures and places. We shouldn’t just do these things on our holidays. If you’ve got a desire to leave, seize it. Here are some reasons why moving abroad could be the best decision you ever take. Moving abroad can give you the freedom to build and design your own home. 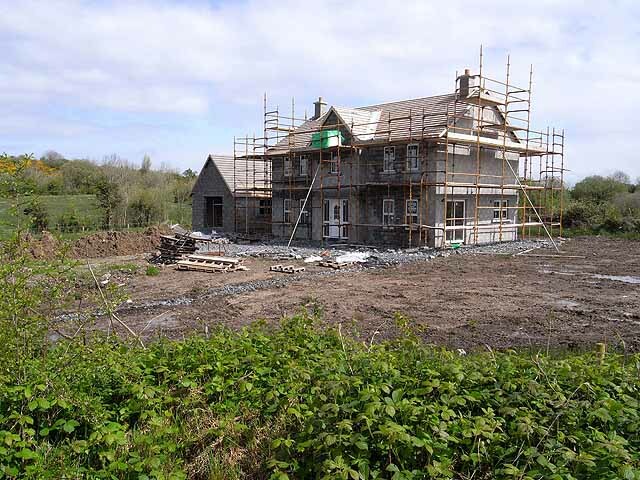 Housebuilding is often less expensive abroad. It costs an absolute fortune in the UK. That’s why few people build their own homes here. Abroad, it’s a different story. Over 40% of Australians build their own homes. The figure for the UK is less than 10%. In Australia, low maintenance land lots are available too. Why should you struggle to build an expensive house in the British countryside? You could be doing the same thing on the beach in glorious sunshine! Another reason to move abroad is money. The cost of living in the UK is high, and rising all the time. Many of us can’t get on the property ladder. Instead, we’re ripped off by dodgy landlords. That’s not the case abroad. As I’ve said, you can build your own home in Australia with little fuss. In Europe, there are stricter rent controls, so there’s less chance of losing money. The simple fact is that it’s getting harder to make a good life for yourself in the UK. Many of us would be better off cutting our losses and taking our chances overseas. Enough of the practical concerns. Let’s look at the fun stuff. Exploring a new country is always a great adventure. It’s also fun for the whole family. 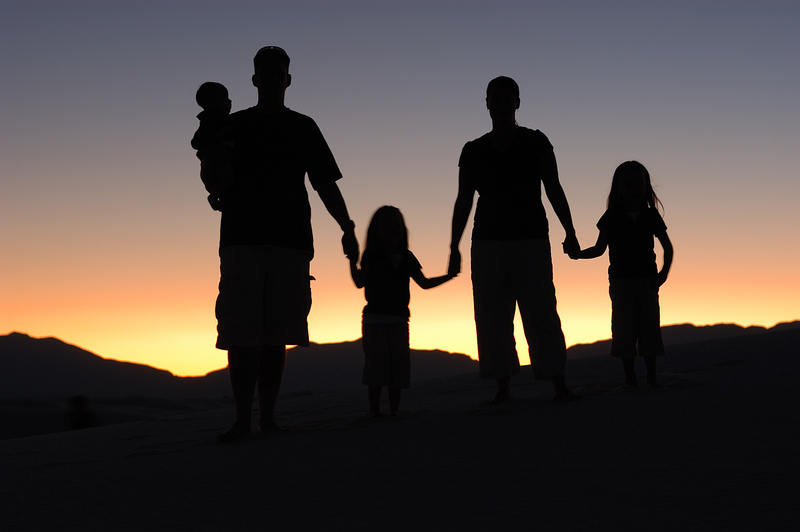 Moving abroad could help to bring your family together. You’ll discover a new country together – inspiring. You could all learn new languages and make new friends. The chance to broaden your horizons isn’t one that you should turn down. You’ll get to do things that just aren’t available in the UK. Let’s say you move to Australia. You can spend your weekends at the beach. You can learn to surf. You can watch Neighbours without feeling weird! Imagine the possibilities! Let’s not forget the main reason people move abroad – the weather. Why should you put up with horrible wind and rain for most of the year? That’s what we get here in Blighty. There’s a whole world of gorgeous sunshine out there. Go and get your slice of it! Moving abroad is no picnic. There are lots of issues and concerns that you should address before you make a decision. The opportunities of such a move are vast, too. Life in the UK is difficult, and there’s no sign that it will get better. Moving abroad could be your ticket to a wonderful new life. Think about it. It could be the best decision you ever make. Your family is the most important thing in the world to you. Looking after their safety should be your top priority. As a parent, the obligation to take care of your little ones is great. You don’t want to see any harm come to your family and, of course, you will do anything you can to protect them. You can start looking out for your family’s safety at home. Your home is where you and your family spend the most time, so it is vital that it is a safe and comfortable environment. Many people believe that a home is just a play to lay your head, but, when you have a family, this can’t be true. Building a safe and secure place for your children to grow up, will mean that they are happier and more confident in later life. Childhood is the most important part of anyone’s life. This period, fleeting as it is, is when a person becomes who they will be in adult life. You can do your child a huge favour by ensuring that during this hard time, they have the security that only a safe home can bring. Here are three steps to keeping your family safe at home. It is your job to educate your child in home safety. Children do not learn how to be safe in school, so when they are at home you should be showing them how to be safe all the time. Teaching your children how to be safe from a young age will prevent accidents in later life. For example, from the age of about five you should begin to show your child how to be safe in the kitchen. Kitchen safety is one of the most important types of home safety. Your child needs to understand the importance of staying away from the hobs when they are on and not going near hot fat. By instating these rules from an early age, you help your child to become a conscientious person. When a child understands the things that are dangerous to them within the home, they will make an effort to avoid those things. When your child reaches about eleven or twelve, they will begin to ask to play outside with their friends. You need to be able to allow your child this freedom so that they don’t become sheltered and shy away from other children. The problem is though that letting your child out into a public street is dangerous. There is traffic and also people who could harm your child. One solution to this problem is to move your family to a private estate, such as Emerald Park. A private estate means that the area is not open to outsiders, only to residents. If you do move, your home will be much safer, and you can allow your child to play outside with their friends with total confidence. If you are living in an area where there are other families, then building social support could benefit everyone. Knowing that families around you are looking out for the welfare of your and your family is comforting. You can build a support system by starting a parenting group in the area. The group will become a social event for you and your partner and it will also mean that you know the people around you. Your neighbours should also be your friends. If you make an effort with them, they will be there for you in times of trouble. Modern life is taking its toll on the health of all of us. Childhood allergies are on the rise, and some of our kids are having a tough time of it. There is not much we can do to influence what goes on outside the home; there is pollution wherever you turn. We can try to make our homes clean and a safe place to be so that when they come home that can get respite from the symptoms of their condition. If you are tired of watching your child suffer, here are some ways to clean and alter the interior design of your home to help ease their suffering. You must make changes to the interior design of your home, but that doesn’t mean the style must suffer. Use any or all of these tips as you see fit. Furniture. If your rooms have unnecessary furniture, dispose of much of it and keep only the things that you need. This exercise gives you the perfect opportunity to dispose of your old things and buy one or two top quality Shiro Walnut examples instead. Though you dispose of your old stuff, the rooms will look better for it. Carpet. Carpets sometimes harbour dust and animal life that irritates people with allergies. Replace them all with laminate flooring instead. The laminate costs about the same as quality carpet and it easy to fit. Curtains. Curtains harbour dust too. Replace them with some modern window blinds instead. There is a vast array of designs and shades from which to choose, so there is something out there for you. Dust, pollen, and microscopic bugs are responsible for much suffering in sensitive people. It is vital to keep the rooms sparkling clean if they are to find relief while they are in the house. It isn’t hard to do, but you must change your shopping and cleaning habits. Use a damp cloth instead of a dry one to dust the surfaces in your home. The damp cloth will hold onto the dust instead of making it fly into the air. Use a vacuum cleaner with a duster attachment as long as it also has HEPA filtration. Do not use furniture polish from an aerosol, use beeswax or a drop of olive oil instead. These natural products will not irritate the child’s lungs. Mop the laminate floor every day. It will get dusty if you leave it. Use natural cleaning products such as lemon and white vinegar in place of the toxic chemicals that are sold to us with powerful advertising campaigns. You can improve the air quality with air conditioning. These portable machines take in fresh air from outside, remove some of the moisture, filter, and cool it before blowing it into the house. The action gives the room a positive pressure so pollution cannot enter through draughty windows and doors. It is an effective way to keep the irritating particles out. Luckily, many children grow out of the allergies when they reach their teens, but have a miserable time of it up until then. Some will have the condition for the rest of their lives. They must have a place to find relief. It is good for parents too because no-one likes to see their child suffer. I hope you found this useful, take from it what you can. be proactive; you can help them. Child Leaving Home? Tips on Redecorating Their Bedroom! A sturdy, good looking computer desk. A comfy computer chair (the kind that makes you feel important). I suggest you decorate in neutral colours as you don’t want too much to distract you from your ‘work’. Feel free to decorate with art and accessories though! To have an extra large wardrobe installed, or rails around the room. A big mirror that projects a true image (some cheap mirrors really don’t tell the truth). You’ll probably also want to paint the room and add some girly accents to make it look glam. A bean bag – optional. Make this room as chilled as possible with dimmer switches and lots of comforting furniture/accessories. Whatever you decide to do with your child’s old room, adding a sofa bed into your plans would be a fantastic idea. You never know when they are going to come home for the night, or perhaps even move back in with you when times get hard. Sure, you can get rid of their old bed, but a sofa bed kills two birds with one stone. There are even bespoke sofa beds you can purchase to suit any decoration ideas you had in mind. Lastly, I think it would be nice to keep any of your child’s achievements and your favourite mementos on show. This will make you smile as you gaze around their old room! Should you feel as though the time has come for you to buy a family dog, you might be interested in knowing how you can make the right decision. Buying the right dog for you and your family is important, and you need to make sure you get it right the first time. Thankfully, buying a family dog is not that hard as long as you know what matters most to you. You will want to buy a dog that is not too big for your home. On top of that if you have small children you will not want to buy a dog that is going to grow big and potentially intimidate them. In some cases, it can be hard to judge the size of a dog by watching online videos or by looking at pictures. You will, therefore, want to go to a dog shelter and have a look at the dog breed in person. When you see a dog breed in real life, you will get a better sense of how big it is going to grow. Different dog breeds will have different temperaments. Because of this you will want to make sure you buy a dog breed that has a temperament you are okay with being around. Some people are fine with owning a dog that is relatively excitable. However, some people would rather that they own a dog which is docile and hardly ever hyperactive. You can find this information out by reading a book on the various dog breeds on offer. You can also search for the various of breeds of little puppies online. Should you use the internet, you can also read what other people have got to say about the dog breed you’re interested in buying. You will also want to make sure that you buy a dog that has exercise needs which match your schedule and level of activity. For most people, they are not able to exercise a dog more than a couple of times a day. If you are busy running a household, you may not have the time needed to take your dog on long walks. Because of that it might be a good idea for you to take a look at dogs which only require a little bit of exercise. You should keep in mind, however, that all dogs will need walking. Whether or not you get a big dog or a small dog, walking should still be a priority. Buying a family dog is often an exciting and challenging time. It is exciting because you are going through the process of buying a new dog. However, it is challenging because you want to make sure you make the right decision. Nevertheless, once you are clear about your own circumstances, and what you can handle, buying a family dog is quite easy. You may do such an excellent job in terms of picking your own dog that you soon get other people coming to you and asking for tips and advice!